It was disheartening when The Fosters fans learned after the season two finale that one of the most loved characters in the drama – Jesus, played by Jake T Austin wasn’t being recast. The second season of the drama ended with a cliffhanger which came as a shock to many. In the last episode of the second season, Ana was seen confused about who to give her unborn child up to for adoption – her parents or the couple (Stef and Lena) who adopted her other two children, Jesus and Mariana, but before she could decide, she went into labour and on the way to the hospital with Jesus and Mariana, they had an accident which resulted in one fatality. The former child actor who has graced the big screen since age ten was born in New York on the 3rd of December 1994 to Joe Szymanski and Giny Rodriquez Toranzo. His full name is Jake Austin Szymanski. The “T” in his stage name Jake T Austin, was taken from his mother’s maiden name “Toranzo”. He is multi-ethnic. His father is of Polish, Irish, and English descent, while his mother is of Argentine, Spanish and Puerto Rican descent. Jake is proud of his multi-heritage and embraces them, although he embraces his Porto Rican heritage the more. Jake is not the only child of his parents, he has a younger sister named Ava. His acting career kicked off in 2003 with his first credited acting role as Kid 1698 in a comedy sketch on The Late Show With David Letterman, this came after he had appeared in a TV commercial the previous year. In 2004, he landed his first major role as the voice of Dora’s cousin, Diego in Nickelodeon animated series Dora the Explorer, and reprised the character in another animated series Go, Diego, Go!. Jake also lent his voice to The Ant Bully and Everyone’s Hero. He played Angel Macias in The Perfect Game (2006), which was released more than three years later due to financial constraints in the post-production stage. In 2007, Jake T Austin landed a role in a Walt Disney film Johnny Kapahala: Back on Board as Chris. 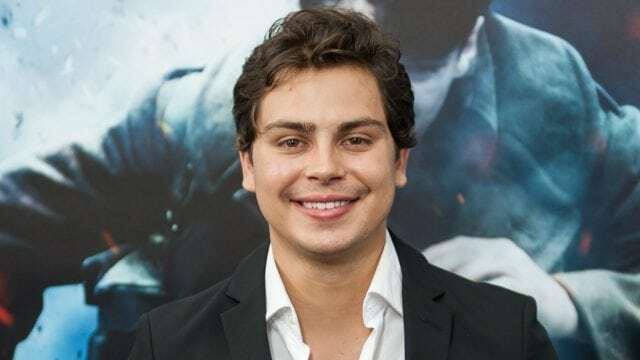 That same year, he landed yet another role as Max Russo, in another Disney movie Wizards of Waverly Place which has remained one of his most popular work to date. The former child actor would later reprise the role in a few other Disney spin-offs of the movie like Wizards on Deck crossover episode which also included The Suite Life on Deck and Hannah Montana. In 2013, he began playing the role of Jesus Foster in an ABC family drama series The Fosters, appearing in 41 episodes before quitting at the end of the second season. His other movies and TV series include Rio I&II, Drop Dead Diva, Law & Order: Special Victims Unit, Justice League vs. Teen Titans, Teen Titans: The Judas Contract, Justice League Action, The Emoji Movie among others. Jake appeared on Latina magazine’s list of Latino’s Brightest Stars Under 25. He once presented an award at the Teen’s Choice Awards. Why Did Jake T Austin Leave The Fosters? Now back to why Jake T Austin left The Fosters. After announcing his exit from the show at the end of the second season, there was a rumor that he discontinued because he no longer wanted to play a teen role, Jake would later debunk that by explaining what actually happened. Also Read About: John Mahoney Bio, Was He Gay, What Was The Cause Of His Death? According to him, he got a hint that his role was being reduced in the third season, which will result in his appearing just three times and what this also means is that he would not be able to work on any other project for the duration of the season’s shoot so in order not to be held back from other opportunities, he took a walk at the end of the second season. Jake T Austin is not gay, at least he has not come out as one. 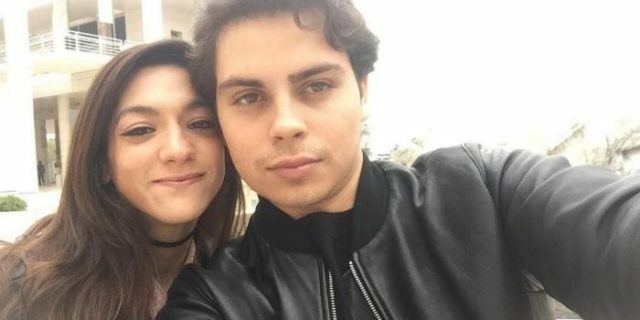 In 2016, the Wizards of Waverly Place star revealed in a Huffington Post interview that he was dating one of his fans by name Danielle Ceasar. Their love story and how they met has a little twist. Jake met Danielle the first time in 2012 at Planet Hollywood, New York City. After five years of Ceasar tweeting frequently about him, following up with Instagram comments, she asked for a picture with him which he obliged. Following the meeting, he began following her on Twitter, one thing led to the other and here they are together today as a pair.